A desire to help change lives and support the growing number of trainees who work with the vulnerable in our society inspired Sarah Orr to join Careerforce. One of our newest recruits, Sarah recently joined the new and growing team of Apprenticeship specialists to help support the expanding numbers of Health and Wellbeing Apprentices. Sarah Orr, pictured with Matt Rawling, who is studying the Mental Health & Addiction Support Apprenticeship. Sarah has experience working with children and young people who have sustained serious injury, coordinating rehabilitation and support for clients and their whānau. She has also worked with adults who have sustained a significant disability through injury. 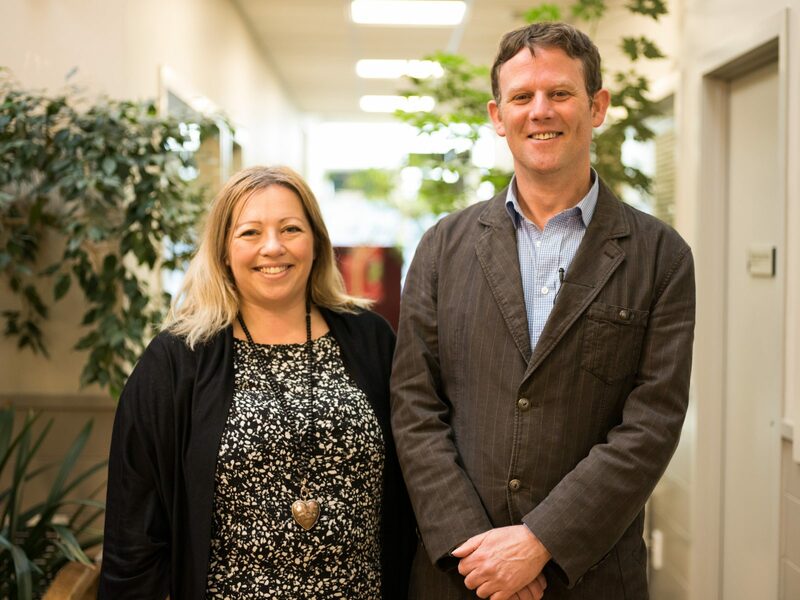 Sarah is also on the board of the Dunedin Disability Information Service, a not-for-profit organisation that provides information on disability and health related issues to the Otago region. At Careerforce, Sarah works with employers to promote apprenticeships. She also provides support, guidance and assessment for apprentices across Otago and Southland and the lower South Island. “To be able to complete an Apprenticeship in this field is pretty awesome,” says Sarah. Sarah joins the new 8-strong Careerforce team dedicated to apprentices and Careerforce apprenticeships. The team covers the whole country and brings a vast wealth of experience and understanding of these sectors. Careerforce Apprenticeships were launched a year ago to present a vocational pathway for experienced employees working in support roles across the heath, social and community sectors. They support the improvement in quality and service needed by New Zealanders now and into the future. They help to deal with the growing ageing population, the rise of complex conditions, the need to care for people at their homes for longer, and the shortage in the health and wellbeing workforce.